Let’s start the week off with something a little extra sweet shall we? 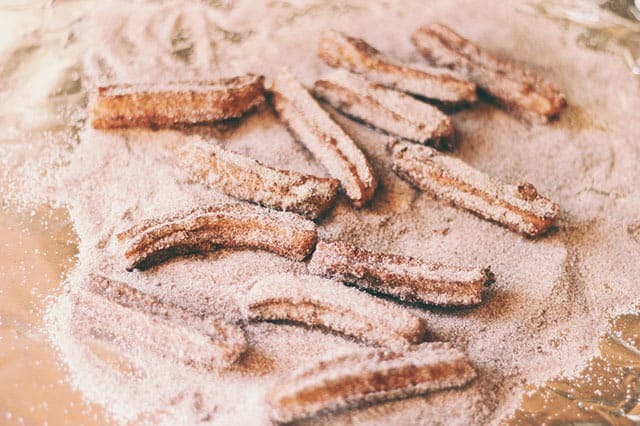 Shannon from Clad&Cloth is here with this tasty churro recipe. I think I’m craving them this week because last week I went around exploring Olvera Street in Downtown LA. My parents would take my sisters and I there every few weeks when we were kids to eat homemade tortillas and cinammony-sugary-churro-deliciousness. 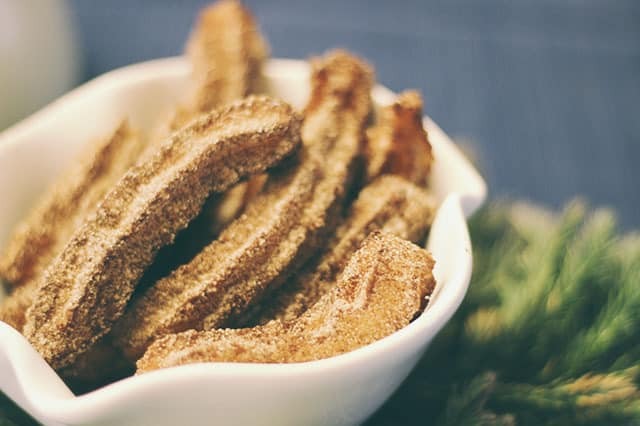 Shannon will show you the simple recipe for how to make these churros right at home. Make sure to add Clad&Cloth to your blogroll to keep up to date on Shannon’s newest findings and DIY Projects. One of my favorite things in the whole entire world is churros. So, when my mom brought a homemade churro recipe to Michigan, naturally I immediately began to salvate . 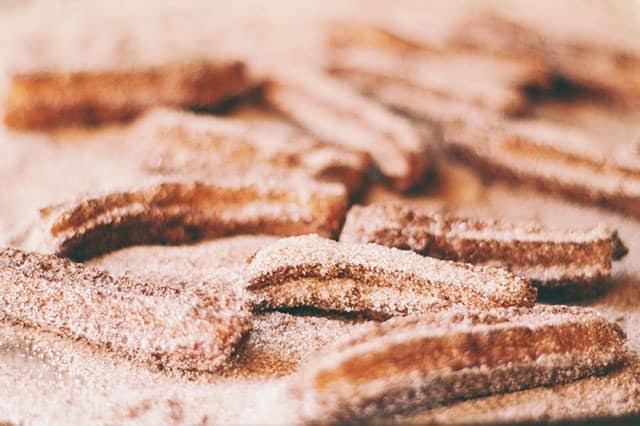 Churros are one of those things that you think you can only get at Disneyland or sports games (or at least that’s what I thought) and I hadn’t ever really thought to make my own. 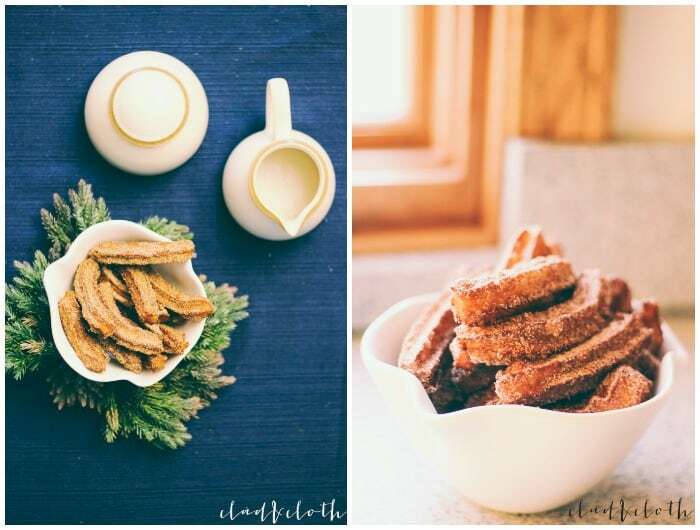 Bests days of my life; when I got married and when I found out how to make homemade churros. If you ask my mom and sister I was bugging them all week asking when we were going to make churros. A little juvenile, maybe, but we are talking about churros and as many as you can eat! This is big people! Now, you also have to understand something. I get excited for disneyland because, one, it’s Disneyland annnnnd they make the best churros known to man. Now I can satisfied my disneyland cravings just by turning on Toy Story and making churros in my very own kitchen. It doesn’t get much better than that. These tasted like getting them fresh from the churro stand, promise. And, I know I say this a lot, but they really were not that hard and they didn’t take that long. Here’s the recipe and instructions because you have to try these. For the churro dough combine 1 cup of milk with the butter and the salt in a saucepan and bring to a boil over medium heat. Then stir in the flour. Reduce the heat to low and stir vigorously and pulling away from the sides of the pan until the mixture forms a ball, about 30 seconds. Remove the dough from the heat and let it cool for 3 minutes. Add eggs and stir until batter is smooth. Spoon the churro dough into a pastry bag with Wilton 1M tip and coupler that fits the tip (got ours from Michaels). Squeeze the dough from the pastry bag, making 4 inch churros and cut the dough using kitchen scissors. Let the dough cook in oil from 1 to 3 minutes. 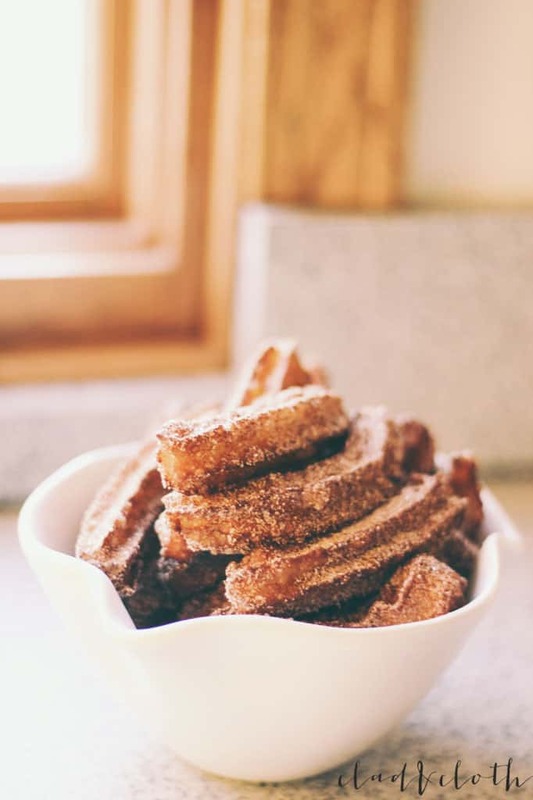 While churros are cooking mix your cinnamon and sugar in a bowl and spread it out on a pan. 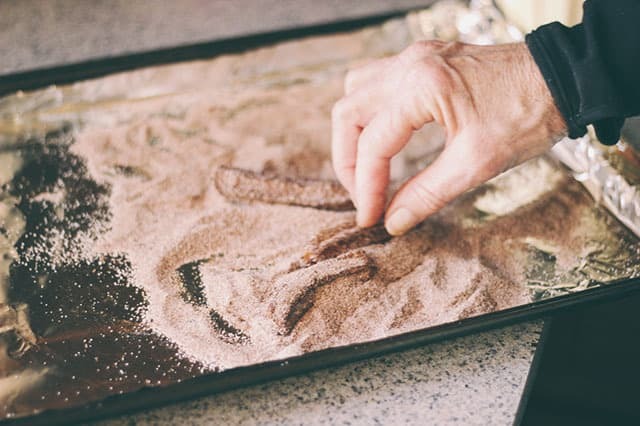 Take the churros from the oil and roll in cinnamon sugar mixture. Let them cool and then they’re ready their ready to be eaten! Was just wondering can I bake the dough a couple of hours ahead of time before the actual cooking?